By now you’ve heard the big news: we’ve just launched the all-new Komoot, the ideal way to make the great outdoors your own personal playground. And the introduction of Highlights is the engine powering the 6.0 mega-machine. But what are Highlights? We thought you’d never ask! Highlights allow you to point out and find out about the most interesting spots and places on any Tour. Got an amazing single track you’d like to recommend? Highlight it! Want to share a beautiful park or cafe on the way to your preferred peak? Highlight them! But that’s not all: Highlights also enable you to discover great outdoor places, so you can instantly identify which part of a Tour is the most interesting. 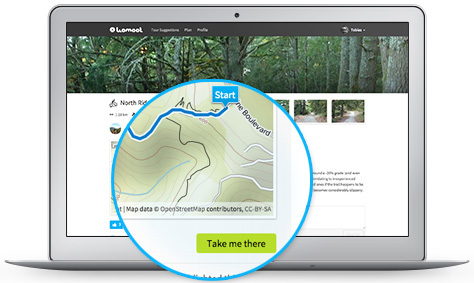 Highlights allow you to move beyond relying on simple lines on a map to guide you—now you can go exploring with in-detail info and one-of-a-kind recommendations right at your fingertips. 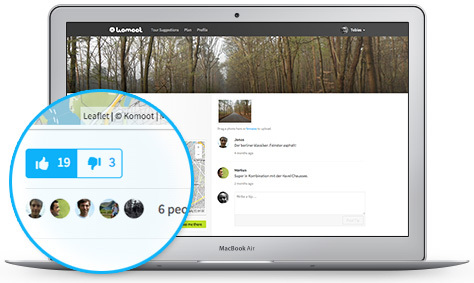 Always longing for the ability to search for your friends or other komoot adventurers’ Tours? Long no more! Highlights allow you to find out about that hidden scenic trail or little-known nature attraction you might have missed before. Once you have that intel, you can then plan your own Tours based on all these Highlights. And komoot is the only place you’ll get tailor-made recommendations from the community. If you’ve got the goods, then why not share them? Since Highlights feature the most compelling places on a Tour, you’d better believe everyone will be interested in what you’ve got to share. 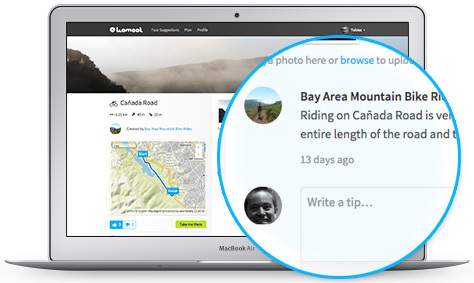 Recommending Highlights for others to check out is a simple as a few taps or clicks. Share the most descriptive photos of your Highlight and add a tip with interesting details. Others will be inspired to vote and add comments of their own to your Highlight which is sure to get a conversation going. Yes, we mean that quite literally. For the first time in komoot history, you can now plan a truly flexible Tour that allows you to start from your current location or a train station or parking lot. You can even mix-and-match multiple highlights to create a Tour that’s as beautiful as it is interesting. That’s a Smart Tour for smart explorers! What’s better than getting interesting outdoor recommendations from other outdoor fans? We can’t think of much, to be honest. 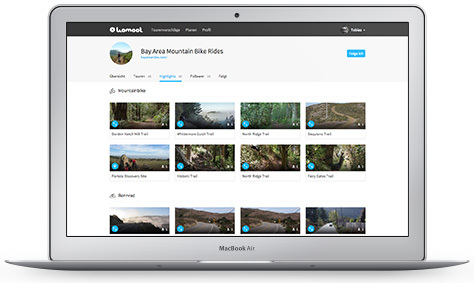 The beauty of the all-new komoot is that it gives you access to info from our community that you’ll find nowhere else. Yes, you read that right. Komoot doesn’t rely on just one member of the community’s recommendation, instead each Highlight is a combination of the tips and photos of many people so you know that recommendation is super solid. Are you excited about pointing out and discovering your own Highlights? We thought so. It’s time to stop reading and start Highlighting!